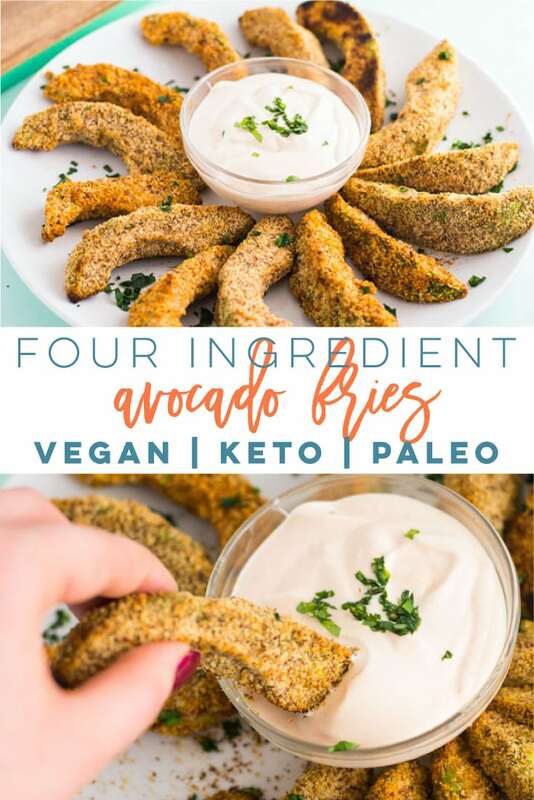 You are here: Home / Snack Recipes / Keto Avocado Fries – Four Ingredients + VIDEO! 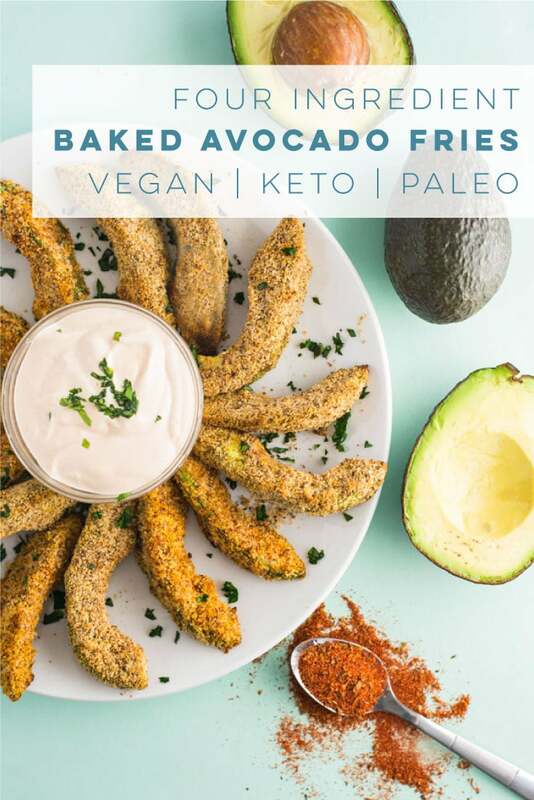 Avocado fries that can be made with four ingredients, bake in 15 minutes, and are vegan, paleo, and keto?! Some things just sound too good to be true but behold my friends, these cajun avocado fries will change your life for the better. Well, exactly what they sound like! 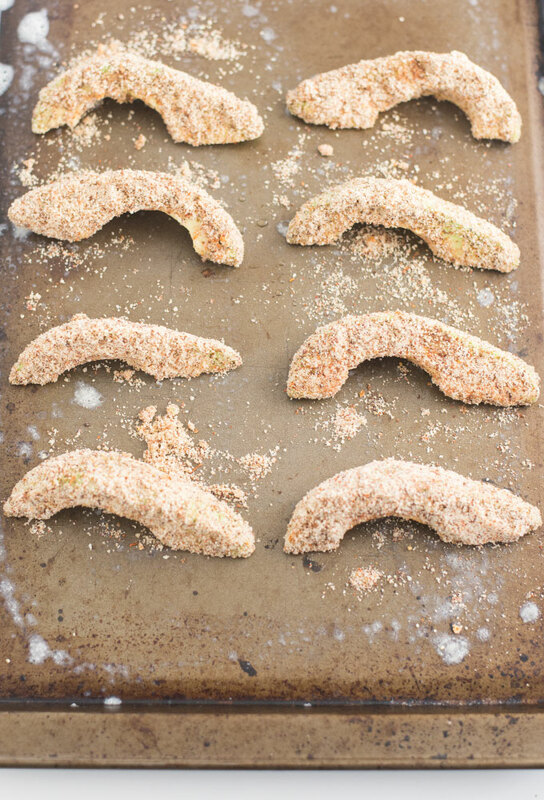 They are avocado slices, breaded, and in this case, baked to perfection. They are good for you because they are a healthy source of fat and this recipe is oil free! 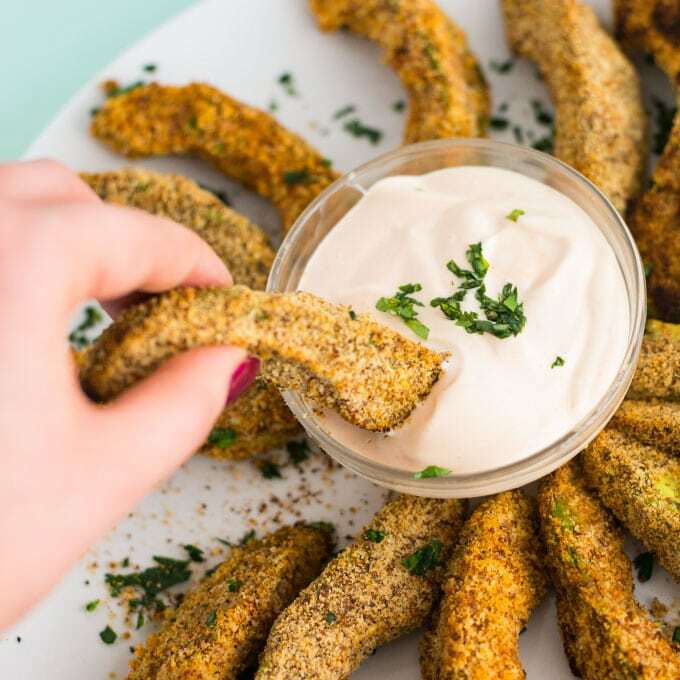 Baked avocado fries are gaining popularity with those following a Keto diet because they are a great source of fats and have numerous other health benefits like lowering cholesterol! Most people assume breaded foods are not vegan since they usually call for eggs as a binding agent. This recipe is totally vegan because no eggs are necessary! They are also gluten-free since we use almond meal instead of breadcrumbs too! 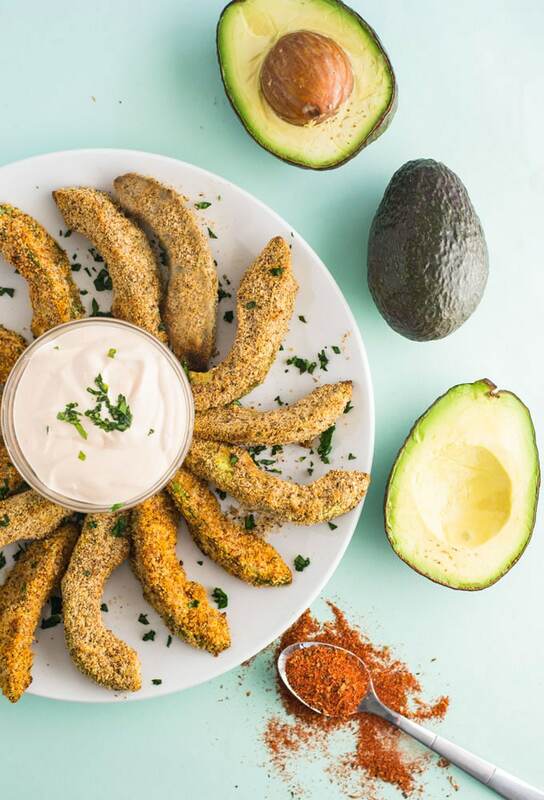 Okay, so how exactly do you make avocado fries you ask? Start by simply cutting an avocado, peeling off the skin, and then cutting into wedges. Next just dip in some almond milk and last cover in almond meal mixed with cajun seasoning. Put on a nonstick baking sheet and cook for 15 minutes. That’s all there is to it people, this is a pretty fool-proof recipe! 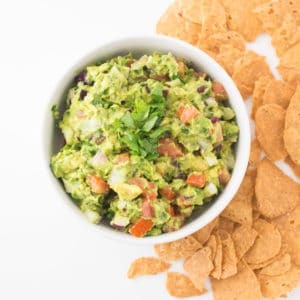 This healthy snack recipe makes the perfect appetizer for parties or even game day! They also make a great side dish to accompany a number of meals; perhaps a veggie burger? 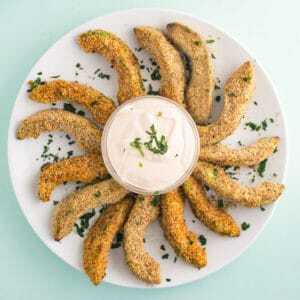 The cajun seasoning makes these avocado fries so delicious and seriously takes them to the next level! If cajun or spice is not your thing, I recommend Italian seasoning, some dill or rosemary, or just go with the basics: salt and pepper! However you decide to make them, your end result will be amazing. Now let’s talk about some dips. I’m all for creamy dips! I made this dip with vegan mayonnaise, some greek yogurt, and buffalo sauce (highly recommend!) If strict vegan, you can probably substitute the yogurt for a vegan one. These would also taste great with salsa, hummus, or guacamole? If that avocado overload? No such thing? Kidding, that may be overdoing it a tad. 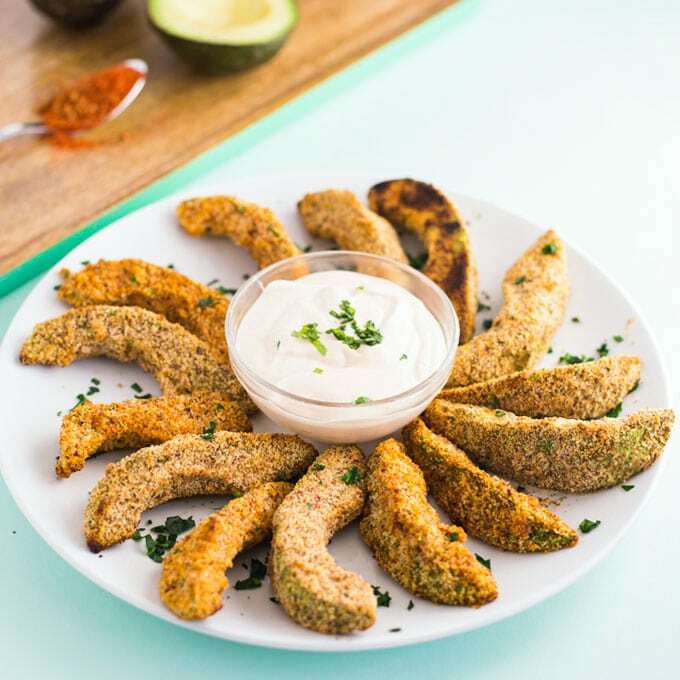 If you tried out these avocado fries, let me know in the comments below and share a photo using #mindfulavocado. I’d love to hear from you! Want to see more recipes? Let’s get social! CONNECT WITH ME on Facebook, Twitter, Instagram, or Pinterest to see what I’m currently cooking up! 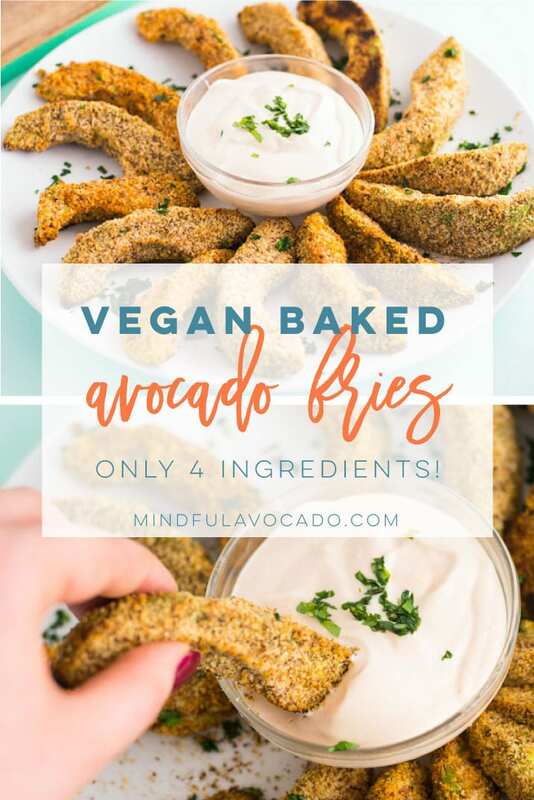 These avocado fries only require four ingredients and can be baked to perfection in 15 minutes! 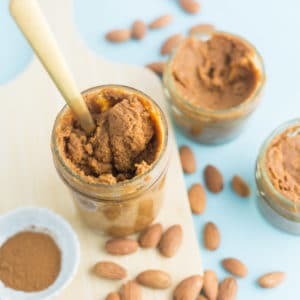 Almond milk, almond meal, cajun seasoning, and avocados make this snack recipe totally vegan, paleo, gluten-free and keto! Cut avocado lengthwise and twist halves to separate. Remove pit and peel skin off. Cut into wedges. Pour almond milk into a shallow bowl. In a separate bowl mix almond meal and cajun seasoning. 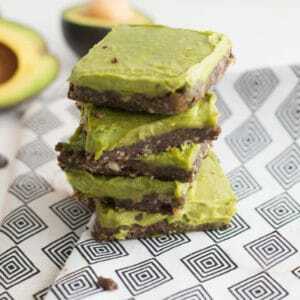 Dip avocado slices in almond milk then press in almond meal to coat avocado slice on all sides. 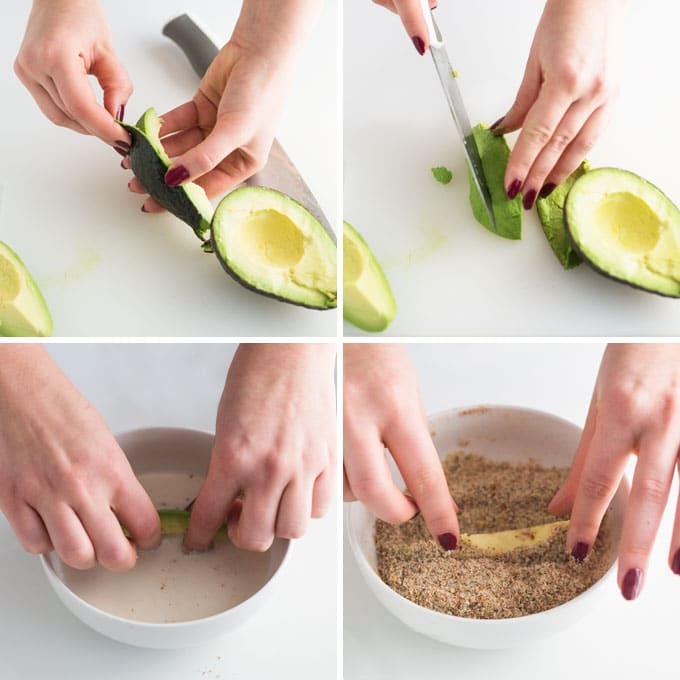 Using a spoon to pour the almond meal on the avocado makes this step easier and less messy! Remove from oven and let cool for 1-2 minutes. Taste best if eaten immediately. To make the sauce in pictures: Mix 1/4 cup mayonnaise with 2 Tablespoons plain, full-fat Greek yogurt. Mix in 1 Tablespoon buffalo sauce (more or less to taste). I have been on the Keto diet for the past month and this recipe was so good! Will be making again! Tried this recipe…loved it. 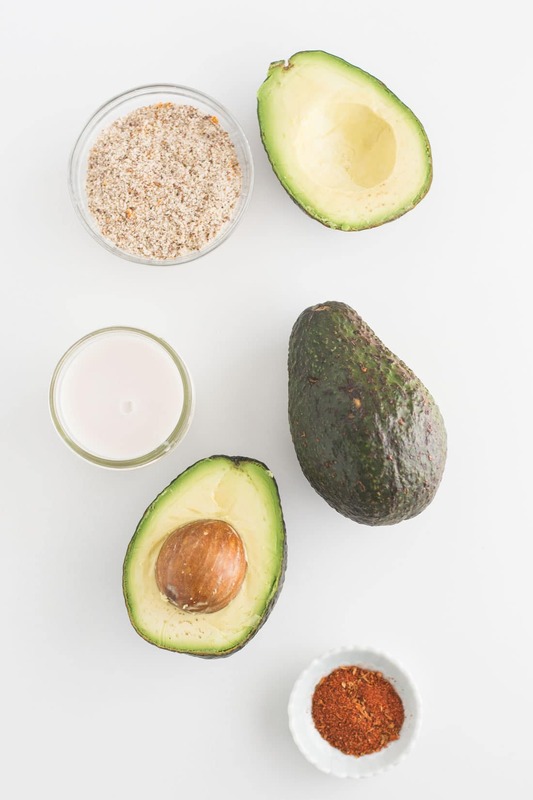 M not that fan of Avocado so this recipe helped me add it to me Keto Routine. Thanks a lot.